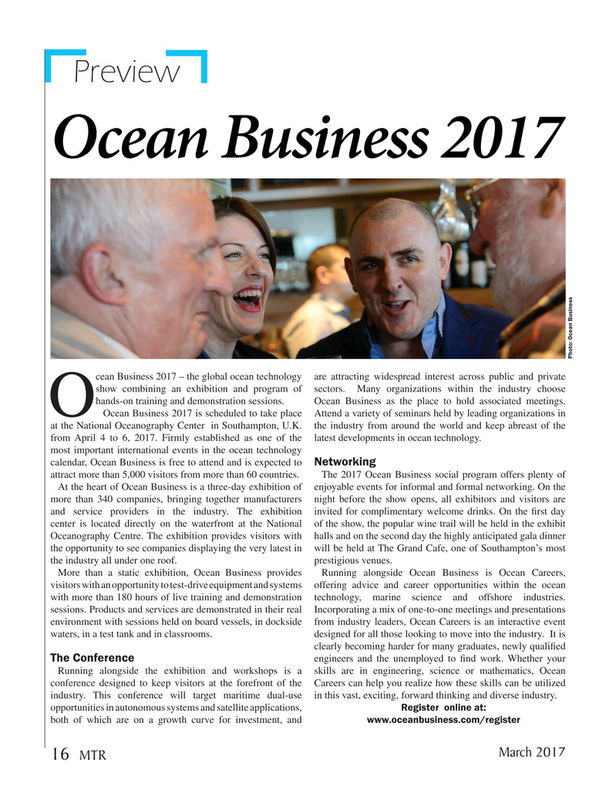 Photo: Ocean Business cean Business 2017 – the global ocean technology are attracting widespread interest across public and private show combining an exhibition and program of sectors. Many organizations within the industry choose hands-on training and demonstration sessions. Ocean Business as the place to hold associated meetings.